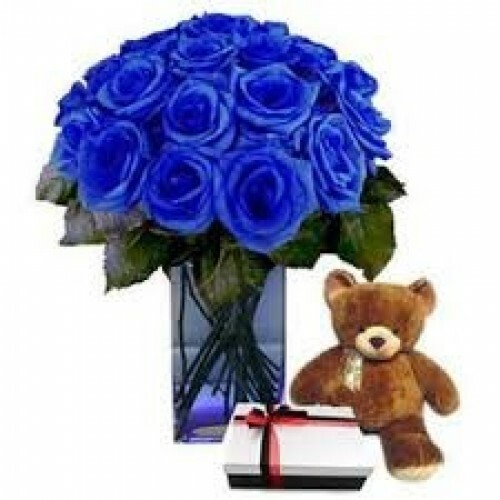 15 Blue Roses with a Vase, Teddy and Box of Belgian Chocolates. Arrives together to make a really great gift. Our florist will select out Fifteen Fresh Blue Roses and arrange them into a gift wrapped bouquet and send them with a glass vase. We will add a traditional teddy bear and a box of Belgian chocolates to finish the bundle off nicely.